Chris Wray is an extraordinary person, possessing all the gifts necessary to be a great Director of the FBI. I congratulate President Trump for choosing a leader of proven skill, independence, and integrity, a man in whom all Americans can have confidence. Chris combines a brilliant legal mind, outstanding accomplishments, and a proven record of public service. We are fortunate that he is willing to make this personal commitment to serve his country at this important time. He prosecuted many cases with FBI agents when he served as an assistant United States Attorney for four years. 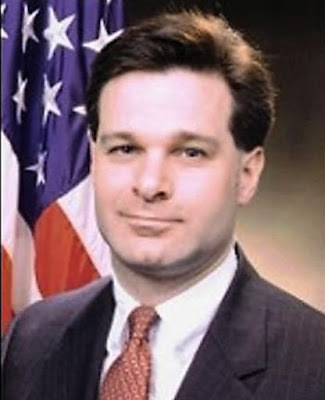 His exceptional abilities were recognized, and he was brought to Department of Justice headquarters to serve as Associate Deputy Attorney General and, later, in the key role of Principal Associate Deputy Attorney General under Deputy Attorney General Larry Thompson, where he performed superbly during the incredibly intense period after 9/11. President Bush then asked Chris to take on the enormous responsibility of heading the Justice Department’s Criminal Division in 2003, and the United States Senate voted unanimously to confirm him to that position. At that time, he supervised both the general crimes and anti-terrorism roles of the Department, and worked closely with the FBI as the Bureau shifted to a much larger counterterrorism role. He has tremendous respect for the FBI’s agents, analysts, and professional staff, and the agents he worked with enthusiastically affirm his leadership and integrity. The President asked us to look for an FBI Director who has integrity, who understands and is committed to the rule of law, and who is dedicated to protecting the American people from crime, gangs, and terrorists. We have found our man in Chris Wray.